Charles T. "Charlie" Mahan, Jr.
Charles T. Mahan, Jr., known to most of us as simply "Charlie," passed away Friday, April 26, 2013 of kidney failure at his home at Oak Crest Village. He was 88. For anyone who had the distinct privilege of meeting Charlie Mahan, and possibly getting to know him better and also call him a friend, all will surely agree without a doubt that Charlie was always kind, generous, and totally sharing with his great knowledge and vast collection of vintage photographs and other Ma & Pa related materials. And Charlie Mahan (who at times I have lovingly referred to as "Mr. Ma & Pa") was truly every Ma & Pa fan's best friend! Going back to when he was just a teenager, for roughly the last 75 years no one has been more dedicated to diligently documenting and studying the Maryland & Pennsylvania Railroad (& including its pre-Ma & Pa narrow gauge era) then Charlie Mahan! I had the privilege of meeting Charlie and enjoying his hospitality and gracious response to the many questions of a neophyte Ma & Pa fan. The preserved history of the Ma & Pa is the legacy of this man; so much of what we enjoy depends on his enthusiasm and dedication. Thank you Charlie, rest in peace. So sorry to hear about Charlie's passing. I had never had an opportunity to meet him and often wish I had. He left us all a wonderful legacy of photographs of the Ma & Pa that he was so diligent about taking and we must all the thankful for that. I first meet Charlie in June, 1981 and we developed a strong friendship which spanned these many years. 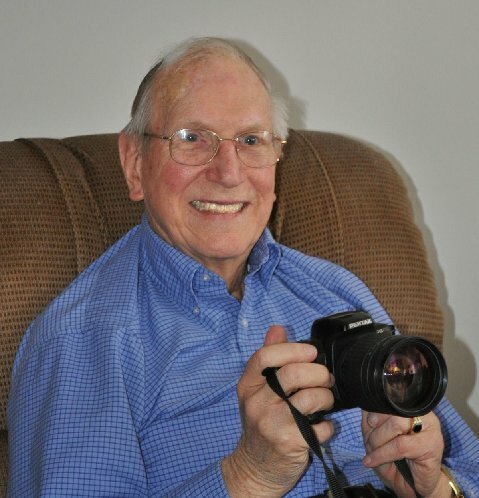 He was always very willing to share his knowledge, photos and files associated with the M&P. His knowledge of the M&P which he acquired is now gone from us but as Rudy stated he has left behind a tremendous amount of material to be used by those who remain to carry on the mission. Yes he will be sorely missed by me and the many of his followers. He now resides in a better place knowing that he has fulfilled his lifetime of sharing the data of his beloved Maryland & Pennsylvania Railroad so that others may enjoy. Rest in peace my friend you will be missed. We will miss him... much more to come. It is with great sadness that I learn of Charlie's passing. I was first introduced to Charlie by another great and departed friend, Joe Luber, back in 1973. Calling Charlie, my wife and I were cordially invited to visit his beautiful home on Stone Barn Rd in Towson. He and his lovely wife were always very hospitable to us both. The many visits were a combination of running his Maryland Central model railroad, looking through his many photo albums and discussion of Maryland railroads in general. Sitting in his basement looking at the tons of railroad photos and information and picking his brain was always a thrill. While everyone thinks of Charlie as Mr. Ma & Pa he was equally qualified to talk about the Pennsy, B&O and my second favorite railroad, the Western Maryland. He was always eager to talk trains and was always a true gentleman. A true legend has passed! Goodbye, my old friend! A true Gentleman and friend. RIP Charlie. It is with much sadness that I heard of the passing of Charles. He not only had a major intrest in the Ma & Pa but in railroading around Baltimore and Maryland. He was an historical goldmine that will be truly missed. Thanks and God Bless Charlie. I met Charlie Mahan at a train show in 1985. We became friends which led to my making many visits to his beautiful home on Stone Barn Road in Towson. During those visits we spent hours in his basement looking at pictures and talking M&P. When he found out I lived in Sparks we talked about the Northern Central and Pennsy as well. Since he was my parents age we talked of other things, such as the Great Depression, old radio shows and World War II. He was truly a nice man, I never heard him speak ill of anyone. He answered my endless M&P questions in person and on the phone. At times I would need help while writing an article and I would call him. I would get an answer right off then wind up chatting for an hour or more. Having Charlie along on a M&P auto exploration trip was wonderful. He would point things out that I didn't know and speak of riding in engine 6's cab. Those were good times. I will miss you Charlie, but I know you are reunited with your dear Arlyn. I bet you're having a wonderful time with your long time friend Warren Olt as well. Rest well old friend ... I'll see you a few miles down the track. I have known Charlie Mahan since the 1950's, when we were both members of BSME. He helped with photos for Green Spring Accommodation book. He was a fan of all railroads, especially local, with emphasis on the Ma & Pa. But he and Warren Olt spent a lot of time together photographing the Northern Central as well. I had the pleasure one Army-Navy Game Day in the 1970's of joining Charlie Mahan, George Morgan, Carvey Davis and Jack O'Donnell on a cabin cruiser belonging to a Chesapeake Bay pilot out in the Bush River off of the N.E. Corridor bridge to photograph the Amtrak GG-1 hauled game specials. Charlie was a great guy to railfan with. We all ended up back at Charlie's house to see his HO gauge Maryland Central R.R. Charlie will be sorely missed. Charlie was truly a great man, a friend to all and a dedicated champion of the Ma & Pa. It was priviledge to work with Charlie and yourself on the scanning project. Every occasion I had to meet him he truly made me feel welcome and was always happy to share any and all information regarding his beloved railroad. I'm sure he is in heaven now photographing No. 6 and 62 as they continue their journey along the winding road that is and was the Ma & PA. Thank you for everything Charlie. I also met Charlie at Howard Zane's train show...probably early 80's, but the following story will describe Charlie to a "t" for any who never met him. A call to Lee told me what he needed, and that time was short to put this stuff together. I called Charlie and told him what I was doing. Without hesitation, he arranged to meet me and delivered the roster photos [originals, not copies...] and information he had on M&P nos. 4-5-6. I scanned everything and put it on a CD which promptly went to Lee at Bachmann; within days, it all went to Hong Kong. On our way home Charlie, grinning like a kid [Okay, okay, he often was grinning like a kid...], told me that of all the Ma & Pa models he helped get produced, the only model he received for his efforts was a boxcar kit before these three Richmonds. I got a Christmas card from him that year (2006) with a hand written note: "It certainly has been an interesting year!" Rest in peace, Mister Mahan. Charlie's obituary article can be found on the Baltimore Sun's web site.